Know how we like our saunas? Floating on a lake, that’s how. 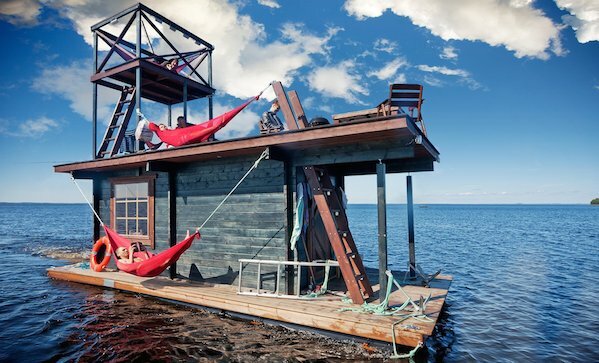 And now with the made to order sauna houseboat, this is possible ($inquire). This raft is basically a floating adult clubhouse, featuring a room with four bunks, a sauna, an observation deck, a barbecue, and hammocks. It’s probably a good thing we don’t have one, though, because we’d never leave it and become lake people.